Subhash Kak says he was surprised when his name was announced for a Padma Shri. Eminent scientist and Padma Shri awardee Subhash Kak talks about science, archaeoastronomy, Vedic history and the emerging field of artificial intelligence. A scientist and Vedic scholar whose research spans the fields of information theory, cryptography, neural networks and quantum information, Subhash Kak says he was surprised when his name was announced for a Padma Shri. “The Padma Awards are normally given to those whose karmabhumi is India. I was in Miami with family when I got the call. And while it is a recognition of my scientific work, it is just one of those things that your friends speak of for a day, after which everyone moves on,” says the Indian-American computer scientist, who has authored The Prajna Sutra: Aphorisms of Intuition, a set of 18 sutras that cast light on the cosmology underlying consciousness. Interestingly, Kak has also written books of verse in English and Hindi and another 14 on a wide variety of subjects, including the history of science and art. He adds, “The Vedic tradition, which is really just another name for Indian science, is a repository of incredibly sophisticated ideas not only about the outer world but also about the mind and consciousness.” Described as a Renaissance man, Kak’s interest in Indic Studies was triggered by an essay written by a Western linguist, who claimed that Panini’s 2,500-year-old Sanskrit grammar had anticipated the abstract form of the modern computer. “The earliest Indian script is the Indus script (about 3000 BC) that remains undeciphered and Brahmi, which was used in Emperor Ashoka’s inscriptions (300 BC). I did some computer and statistical analysis which showed that the Brahmi script was derived from Indus,” says the Regents Professor of Computer Science at Oklahoma State University in Stillwater. What began as a systematic study of the Indian texts took him not only to mathematics and astronomy, but also to texts on art and architecture, philosophy and Puranic encyclopaedias, music and literature. “From scripts, I went to the study of earliest astronomy which is in the text called Vedanga Jyotisha (1300 BC). It contains the most interesting analysis of the motions of the Sun and the Moon. I also discovered that early Vedic rituals had an astronomical basis, and that the Vedic rishis discovered that the Sun and the Moon are about 108 times their respective diameters from the Earth. That’s why this number is so important in Indian culture,” says 71-year-old Kak, who is also an archaeoastronomer. Not surprisingly, his discovery of the long-forgotten astronomy of ancient India has been called “revolutionary” and “epoch-making” by scholars. “Vedic wisdom can be a powerful inspiration for our times. It provides us astonishing insights into the nature of our minds and how we can use our intuition to understand reality not only at a personal level but also in scientific discourse. The two are perfectly compatible because Vedic knowledge at the deepest level is about the mystery of consciousness,” says the acclaimed poet, historian and computer scientist. Born in Srinagar, Kak was educated in various places in Jammu and Kashmir. “I grew up in the small towns of the state. My father was a veterinary doctor in government service who was transferred to a new place every two years. So I studied in many schools including the one in Leh, Ladakh,” recalls Kak. “I wanted to be a writer but I was also good at mathematics and ended up doing engineering and then got my PhD. 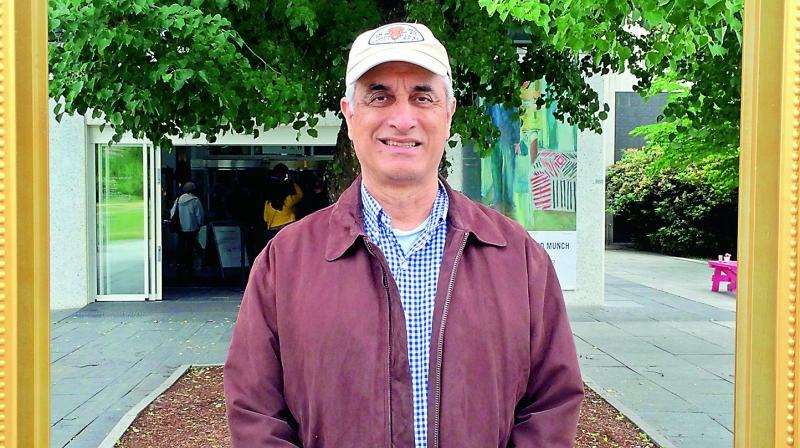 Although I had explored certain Vedic texts in my adolescence, I commenced a very serious investigation into them only after coming to the United States,” Subhash says.